Quick and Simple Easter Treat! I needed a quick little treat to drop off to a neighbor today, but because I'm feeling under the weather I didn't want to spend a lot of time. I grabbed a clear cello bag and put some Easter Rolo's (of course you can use whatever treat you want) in it and stapled the top. 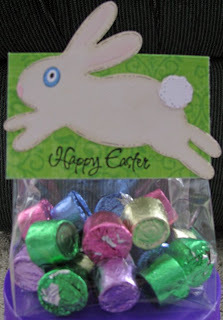 I cut a piece of patterened cardstock just slightly wider than the bag and folded in half and added my diecut (QK Revolution Rabbit) and Happy Easter stamp from Stampendous. Put some pen detailing around the rabbit with some chalk and secured him to the topper. Some other ideas you could add (if you're not sick) would be some Easter basket grass inside the bag or layer your topper to bring more colors in to match your treats. value. 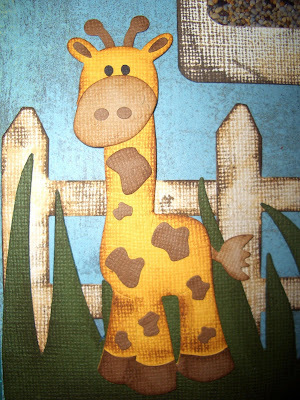 :) Be sure to check out all the great stamps and Sizzix products at Scrapping Cottage. Ya gotta love Hello Kitty - she's so cute! 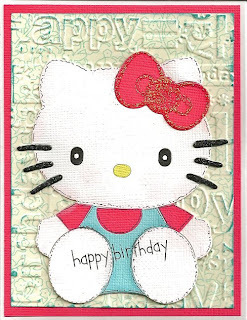 I am totally a Quickutz fan but when I saw these Hello Kitty Sizzix dies I couldn't resist - she is so dang cute! 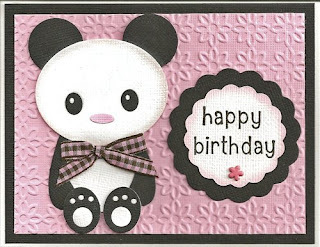 I used the Happy Birthday embossing folder for the background and detailed the die with a soft pink ink and a fine black pen for the detailing. I used Black Diamond Stickles on the whiskers and Fruit Punch on the bow. 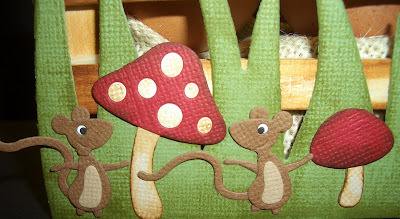 Watch for more Stickles coming soon in the store. 3D work of art in no time at all. If you haven’t tried inking yet, you are missing out, and I’m sure that once you try it you will not regret it. I started this week by altering a mini wooden crate that has been floating around my house for a while now. I thought I would get creative and turn it into something useful. 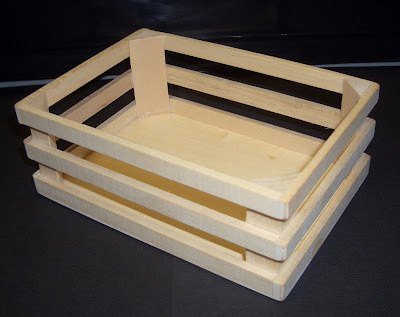 I started by inking the wooden Crate and all my die cuts. 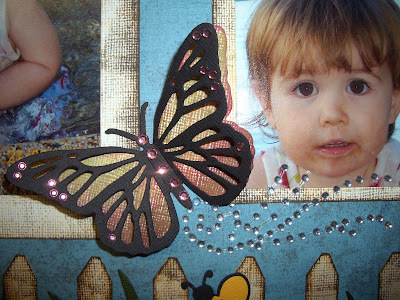 I used TIM HOLTZ DISTRESSED INK, but you can also use TSUKINEKO, MEMENTO INK. There is a great variety of both these inks in stock at THE SCRAPPING COTTAGE. I glued the QUICKUTZ GRASS BORDER to the outside of the crate and then placed the die cuts onto the crate as I wanted them. When I used the QUICKUTZ FLOWERS die, I replaced the flowers with buttons. The other dies I used were the SIZZIX ORIGINALS ROOSTER, QUICKUTZ MUSHROOMS, QUICKUTZ PUMPKIN and the mice & vine are from the exclusive PRINCESS CARRIAGE die. The pictures show the Crate before and after, and then also a close up of the front and side. You can contact Scrapping Cottage to select your free die from the Quickutz March release! 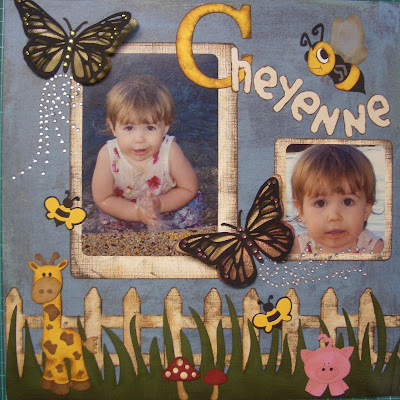 This 12"x12" layout was done focusing on the inking of the die cuts. I have added some close up pictures to get a better view of them (Remember you can click on the pictures to get a better close up view). 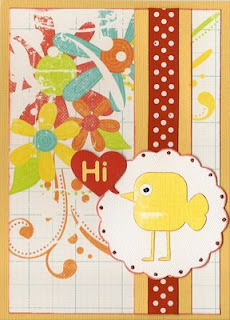 Make sure you have a look at the fantastic COTTAGE CUTZ April release DIES. They are now available to pre-order at THE SCRAPPING COTTAGE- You don't want to miss out on these gorgeous newly released dies. Easter is a wonderful time of the year! It is a time of joyous celebration! QuicKutz can help you create fun, delightful decorations to adorn your walls and tables at Easter time and all throughout the year! Look for the myriad of QuicKutz I used to create this bright, cheerful display, at the Scrapping Cottage, your Die-Cutting Super Store! These Anime Birds are perfect for adding a touch of whimsy to your paper crafting projects! I created this card using lots of Quickutz! The scalloped circle is made from the Quickutz Nesting Flowers. Then the bird is the smaller bird from the Rev-sized Anime Birds. The heart speech bubble is the Free Club this month just for purchasing $50 in Quickutz. Who doesn't love free?! I used Quickutz Lemonade Cookie Cutter for the sentiment and then added some stickles for a little bit of sparkle. I also used Black Diamond stickles to create the eye on the bird. 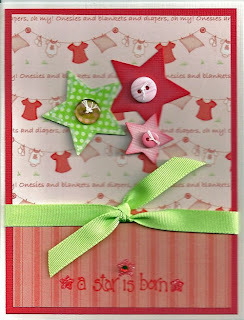 For this baby card I used the new Quickutz Nesting Stars. You get 5 different sizes of stars - I used the 2 smallest on this card and then used my ink pads to shade around the edges. for more cards in the coming days with these versatile dies. 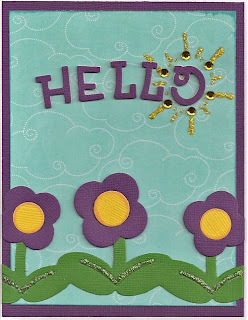 For this Hello card I used the new Quickutz flower border #031 and inked the centers of the flowers and used Stickles on the leaves. For the sentiment I used the Maggie font which is on sale right now for the unbelievable price of $49.95 for the complete set. 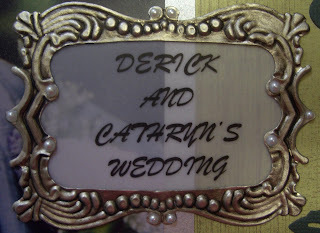 I also used the new double-sided adhesive chipboard sheets from Quickutz to make my title stand out. I put the 2x2 dies on my Revolution and then cut small pieces of the chipboard and placed them over the letters I wanted to cut. I cut out the chipboard twice for each letter and then again in purple. I used Hero Arts gemstones around the "O" for a sun with yellow Stickles for the rays. both love the new Quickutz Panda Revolution die. Hero Arts and the nesting flowers from Quickutz. new release for your chance to win a die of your choice. I think this little Panda Bear is so cute!!! Doesn't he look like he is ready to give you a big bear hug?! Using a black pen, I added a simple smile which I felt was the finishing touch to this otherwise adorable shape. 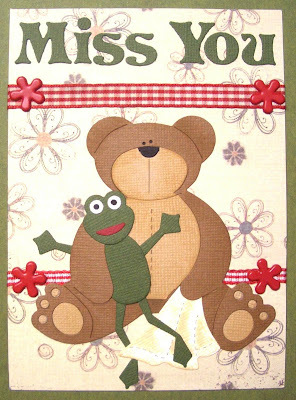 This card was created using some Sassafras Lass papers, Making Memories Tiny Alphas, and the new Rev sized Anime Panda Die. March Quickutz Release and Contest!!!! The March Quickutz release is here! 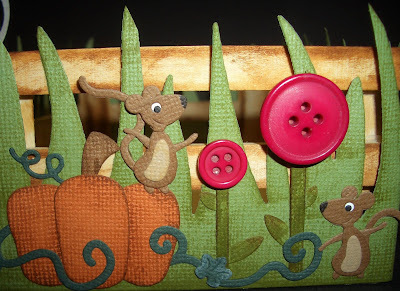 This is such a fun and whimsical release! The Scrapping Cottage Design Team has some great and innovative projects in store for you. We have had so much fun playing with these new dies so keep checking the Blog everyday and all day because when it is release time, you just never know when a new design is going to be posted! Not only do we have a new Quickutz release today, but we are also having our Favorite Die contest again! Just like last month, all you need to do is leave a comment in this thread telling us which new die is your favorite and you will be entered in a drawing to win your choice of one of the new dies from the March Quickutz Release (alphabet is excluded). You have until Friday, March 27th to post your comment so get busy studying this release and tell us which die is your favorite! all the fabulous rubber stamps at Scrapping Cottage. Keeping with the 'Formal' theme I used for my last layout, I have once again used the Quickutz Damask 12" border die and split it long ways through the centre to make the left side border for this invitation card. I cut the Quickutz Revolution Chandelier from textured cardstock and added Kaiser Pearls to give it a more formal & fancy look. The light shades are cut from Vellum paper and I inked around the edges with Tim Holtz Distress Ink. 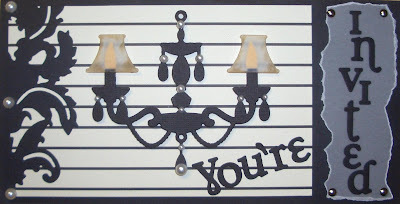 The Chandelier is attached to the card with adhesive foam dots to give it a 3D look and raise it off the Card. 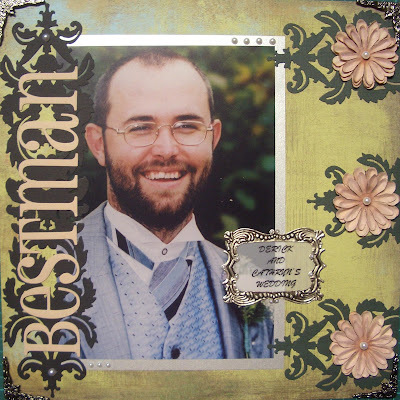 I have been working on 2 separate 12”x12” scrapbook layouts this week and for both of them I have focused on using the Quickutz DAMASK 12” border die, Kaiser Pearls, Kaiser Rhinestones & Two sided adhesive sheets. The Scrapping Cottage will be stocking these Kaiser products soon, so there is no need for you to miss out on this fantastic range of amazing products. For both layouts I have also used the Two-sided adhesive sheets to adhere the borders & Titles to the pages. It’s so easy to use and a lot less messy and time consuming then trying to glue all around the back of fine and fiddly die cuts. You peel off the one side of the two-sided adhesive, place your card or paper face up onto the sticky side of the adhesive, cut out your die cut and there you have it!!! It turns your die cuts into stickers. When you’re ready to use your die cut, peel the paper off the back and stick to your layout or project. These and other great adhesive backed materials are in stock at The Scrapping Cottage. The Damask border die is one of my ‘Just have to have' dies but did not know where I would use it. I’m sure we all have some of those ‘Just have to have’ dies that we have a quick look at when we get them and have most probably never even taken them out of the packaging. Yes, I am guilty of this, but don’t tell my husband. I still need to get him to understand that buying the die is equally as exciting as using it. I get very excited when I see the postman coming as its like Chrismas for me when I get my packages from The Scrapping Cottage. The first is a quick & easy Layout for those of us that don’t have a lot of spare time on our hands. It’s also great if you have a whole album to do and want to continue the same theme throughout and don’t want to spend years doing it. I used the Quickutz Damask border die and then also used sections of this same border die on the right side of the page to give it a different look. I have also used Two-sided adhesive sheets to stick the border die cuts & the ‘Blossom Grand Alphabet' Title to the page. I printed on Vellum sheets for the centre of the small frame & added Kaiser pearls for that little bit of extra detail as you can see in the close up picture. 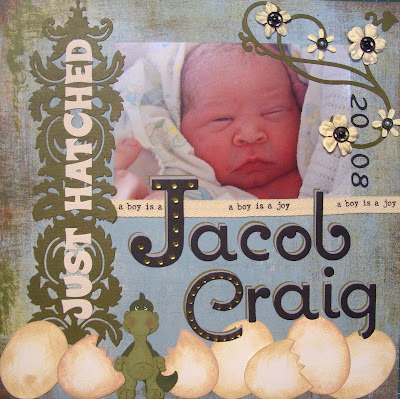 For the 2nd layout I have used the Quickutz Damask border die, Aquarius 4x8 alphabet for the ‘Just Hatched’ Title, Rollerskate 4x8 alphabet for the date, Sizzix Bigz Decorative Accent w/flower, Quickutz Cosmopolitan alphabet for the name and the ‘J’ is from the Quickutz Monogram Set. Kaiser Pearls, buttons & press studs were used on the flowers, and Kaiser Rhinestones to decorate the initials of the name (as seen in close up photo). 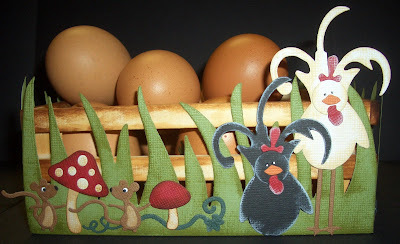 Bosskut Dinosaur & Sizzix eggs were inked with Tim Holtz Distressed inks. Don’t forget that you can click on the items in the post and a link will take you directly to that item in the The Scrapping Cottage store. Topiaries are traditionally a more formal piece that you might find in your home. Here at the Scrapping Cottage we don’t always follow tradition! This bright, whimsical tree is fun, playful and ANYTHING but formal. I used several of my favorite QuicKutz dies to create this festive holiday centerpiece. The peek-a-boo bunny (KS-0412) is quite charming and lovable as he peeks over flower pots and just about anything else you can imagine! The Easter egg (KS-0414) is an incredibly resourceful die. You can decorate it any way you like, adding many other QuicKutz shapes to create the perfect egg! I love the simplicity and versatility of the daisy (KS-0537). 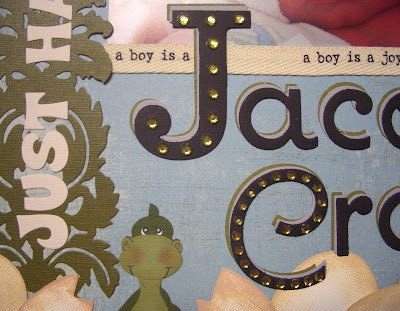 I am enchanted by all of the flourish dies created by QuicKutz. This particular flourish (REV-0025) is so happy and conventional, it feels like home! Butterflies flutter and dance in the garden, they are beautiful and shy all at the same time. This, my best-loved QuicKutz butterfly (KS-0172), is amusing two exclusive pals created especially for the Scrapping Cottage. The darling bee and the delightful ladybug are part of Scrapping Cottage’s custom Tea Set (C-0072-D-REV). Just to put a SMILE on your pretty face, these dies can be found here at the Scrapping Cottage for all of your fanciful, inspiring designs! 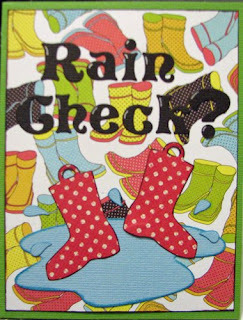 Just a fun little card you can put together quickly using the new Quickutz Rain Puddle Die. I love the boots cut from polka dot paper! Think how cute they would be cut from stripes, too. For the sentiment, I used the Quickutz Storybook and I borrowed the question mark from Aquarius. 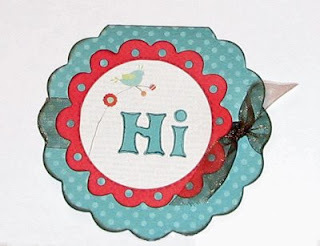 This week I would like to share a tip for a quick and easy way to make a folded shaped card. Cut your cardstock into the size card you want and fold it in half. Make sure your card is larger than the shaped die you plan to use. Next, place the folded edge of the card slightly below the cutting edge of your metal die. Now, when you roll your card and die through your cutter, you will have a shaped card with the folded edge still intact. I used the Quickutz Cookie Cutter Nesting Flowers to create my scalloped edge card. For the Princess bear I used the QUICKUTZ Hat KS-0869 and the QUICKUTZ Swimsuit KS-0726 for her pants. The stem of the roses is a section of the QUICKUTZ Vine Border. On the other side of the page I have used the SIZZIX BIGZ Decorative Accent #10 and added some of the same Quickutz rose buds. 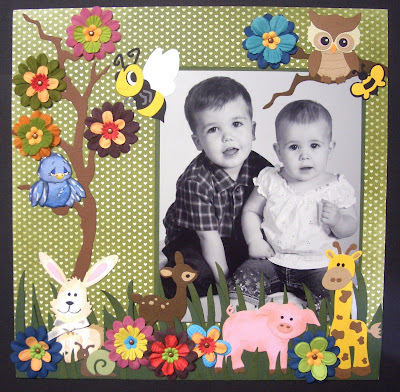 I have used the QUICKUTZ Squares & Dots Border die to frame the photo and threaded some ribbon through the slots to give it a much prettier ‘girly’ look.. The title was made with the QUICKUTZ Beauty Queen Grand Alphabet and I used TIM HOLTZ Distress Ink - antique linen for inking around the title & bear. 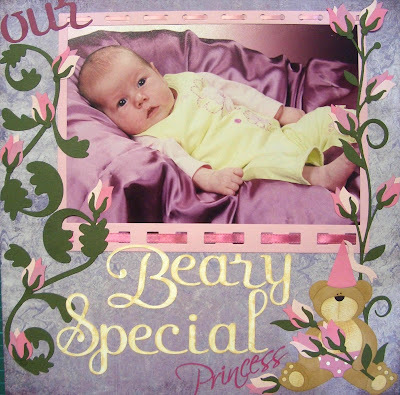 I have also used BASIC GREY background paper & 'Princess' title Rub on. 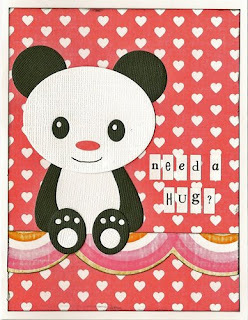 Imagine this Teddy border on a mothers Day page or cut it shorter to make a mothers day or Baby girl card. Design Team Members are: Kay Norman, Ruth Ellen Yeager, Beverly Sizemore, Natasha Downing and Rochelle Larocca. You can learn more about our Design Team on the Scrapping Cottage website. 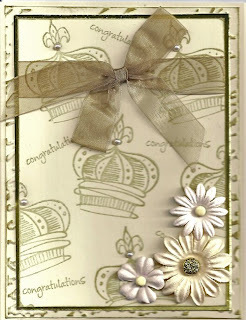 I used Hero Arts Regal Crown stamp, pearls and Cream flowers to make this Congratulations card. 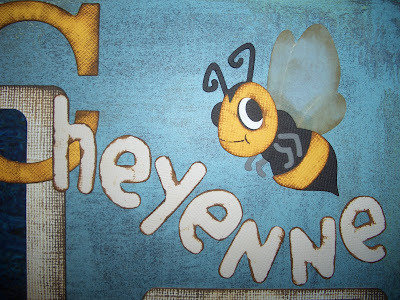 I also used a Cuttlebug embossing folder, gold cardstock and ink. Be sure to check out all the great stamps The Stamping Cottage has to offer. These are all in stock at THE SCRAPPING COTTAGE if you want to make one of these cute little bears for yourself. 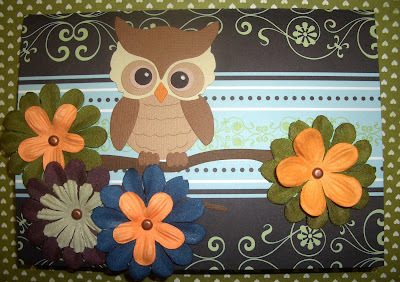 This is a quick & easy card I made using my favourite COTTAGE CUTZ die - OWL SC-CC-001. Cottage Cutz dies are custom made exclusively for THE SCRAPPING COTTAGE. Here is another 12”x12” single page layout that I have done using the EXCLUSIVE QUICKUTZ SCARECROW die C-0076-D-REV. There are a limited amount of these gorgeous dies is in stock at THE SCRAPPING COTTAGE, so don’t delay and get one before it’s too late. It’s never a nice feeling when you realize that you actually do want or need a die & they’re all sold out. 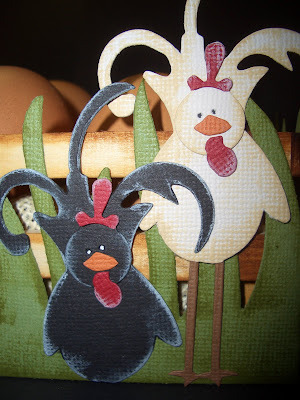 This Scarecrow die is a Revolution 4”x4” double die set, so is great value for money. 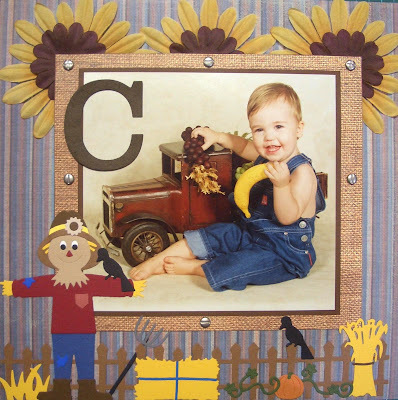 Here is a 12”x12” single page scrapbook layout that I made using a lot of my favorite Cottage Cutz & Quickutz dies. I just L-O-V-E the Cottage Cutz dies as they are so easy to use and the finished product looks amazing. They work exactly the same way as the Quickutz Revolution dies do so I can use them in my Revolution machine. If you haven’t tried the Cottage Cutz dies yet, you don’t know what you are missing!!! I have also used Tim Holtz Distress Ink on the Pig, Rabbit & Bird to try and give them a more realistic 3D look. TIM HOLTZ Distress Ink – ‘Antique Linen’.